With the shift to a digital and more broadly post-cinematic media environment, moving images have undergone what I term their “discorrelation” from human embodied subjectivities and (phenomenological, narrative, and visual) perspectives. Clearly, we still look at—and we still perceive—images that in many ways resemble those of a properly cinematic age; yet many of these images are mediated in ways that subtly (or imperceptibly) undermine the distance of perspective, i.e. the spatial or quasi-spatial distance and relation between phenomenological subjects and the objects of their perception. At the center of these transformations are a set of strangely volatile mediators: post-cinema’s screens and cameras, above all, which serve not as mere “intermediaries” that would relay images neutrally between relatively fixed subjects and objects but which act instead as transformative, transductive “mediators” of the subject-object relation itself. In other words, digital and post-cinematic media technologies do not just produce a new type of image; they establish entirely new configurations and parameters of perception and agency, placing spectators in an unprecedented relation to images and the infrastructure of their mediation. The transformation at stake here pertains to a level of being that is therefore logically prior to perception, as it concerns the establishment of a new material basis upon which images are produced and made available to perception. Accordingly, a phenomenological and post-phenomenological analysis of post-cinematic images and their mediating cameras points to a break with human perceptibility as such and to the rise of a fundamentally post-perceptual media regime. In an age of computational image production and networked distribution channels, media “contents” and our “perspectives” on them are rendered ancillary to algorithmic functions and become enmeshed in an expanded, indiscriminately articulated plenum of images that exceed capture in the form of photographic or perceptual “objects.” That is, post-cinematic images are thoroughly processual in nature, from their digital inception and delivery to their real-time processing in computational playback apparatuses; furthermore, and more importantly, this basic processuality explodes the image’s ontological status as a discrete packaged unit, and it insinuates itself—as I will argue in the following pages—into our own microtemporal processing of perceptual information, thereby unsettling the relative fixity of the perceiving human subject. Post-cinema’s cameras thus mediate a radically nonhuman ontology of the image, where these images’ discorrelation from human perceptibility signals an expansion of the field of material affect: beyond the visual or even the perceptual, the images of post-cinematic media operate and impinge upon us at what might be called a “metabolic” level. In the following, I will discuss post-cinema’s crazy cameras, its discorrelated images, and a fundamentally post-perceptual mediation as interlinked parts or facets of the medial ontology of post-cinematic affect. I will connect my observations to some of the empirical and phenomenological developments surrounding contemporary image production and reception, but my primary interest lies in a more basic determination of affect and its mediation today. Following Bergson, affect pertains to a domain of material and “spiritual” existence constituted precisely in a gap between empirically determinate actions and reactions (or, with some modification, between the production and reception of images); affect subsists, furthermore, below the threshold of conscious experience and the intentionalities of phenomenological subjects (including the producers and viewers of media images). It is my contention that the infrastructure of life in our properly post-cinematic era has been subject to radical transformations at this level of “molecular” or pre-personal affect, and following Steven Shaviro I suggest that something of the nature and the stakes of these transformations can be glimpsed in our contemporary moving-image media. Ultimately, these media ask us to re-think the material and experiential forms and functions of the camera, the image, and the mediation of life itself. My argument revolves around what I am calling the “crazy cameras” of post-cinematic media, following comments by Therese Grisham in our roundtable discussion in La Furia Umana. Seeking to account for the changed “function of cameras . . . in the post-cinematic episteme,” Grisham notes that whereas “in classical and post-classical cinema, the camera is subjective, objective, or functions to align us with a subjectivity which may lie outside the film,” there would seem to be “something altogether different” in recent movies. For instance, it is established that in [District 9], a digital camera has shot footage broadcast as news reportage. A similar camera “appears” intermittently in the film as a “character.” In the scenes in which it appears, it is patently impossible in the diegesis for anyone to be there to shoot the footage. Yet, we see that camera by means of blood splattered on it, or we become aware of watching the action through a hand-held camera that intrudes suddenly without any rationale either diegetically or aesthetically. Similarly, but differently as well, in Melancholia, we suddenly begin to view the action through a “crazy” hand-held camera, at once something other than just an intrusive exercise in belated Dogme 95 aesthetics and more than any character’s POV. . . .
What is it, precisely, that makes these cameras “crazy,” or opaque to rational thought? My answer, in short, is that post-cinematic cameras—by which I mean a range of imaging apparatuses, both physical and virtual—seem not to know their place with respect to the separation of diegetic and non-diegetic planes of reality; these cameras therefore fail to situate viewers in a consistently and coherently designated spectating-position. More generally, they deviate from the perceptual norms established by human embodiment—the baseline physics engine, if you will, at the root of classical continuity principles, which in order to integrate or suture psychical subjectivities into diegetic/narrative constructs had to respect above all the spatial parameters of embodied orientation and locomotion (even if they did so in an abstract, normalizing form distinct from the real diversity of concrete body instantiations). Breaking with these norms results in what I call the discorrelation of post-cinematic images from human perception. With the idea of discorrelation, I aim to describe an event that first announces itself negatively, as a phenomenological disconnect between viewing subjects and the object-images they view. In her now-classic book, The Address of the Eye, Vivian Sobchack theorized a correlation—or structural homology—between spectators’ embodied perceptual capacities and those of film’s own apparatic “body,” which engages viewers in a dialogical exploration of perceptual exchange; cinematic expression or communication, accordingly, was seen to be predicated on an analogical basis according to which the subject- and object-positions of film and viewer are essentially reversible and dialectically transposable. But, according to Sobchack, this basic perceptual correlation is endangered by new—or “postcinematic”—media (as she already referred to them in 1992), which disrupt the commutative interchanges of perspective upon which filmic experience depends for its meaningfulness. With the tools Sobchack borrows from philosopher of technology Don Ihde, we can make a first approach to the “crazy” quality of post-cinematic cameras and the discorrelation of their images. Figure 1 – CGI-generated lens flares underscore (but exceed) diegetic realities in GREEN LANTERN (Martin Campbell, 2011). 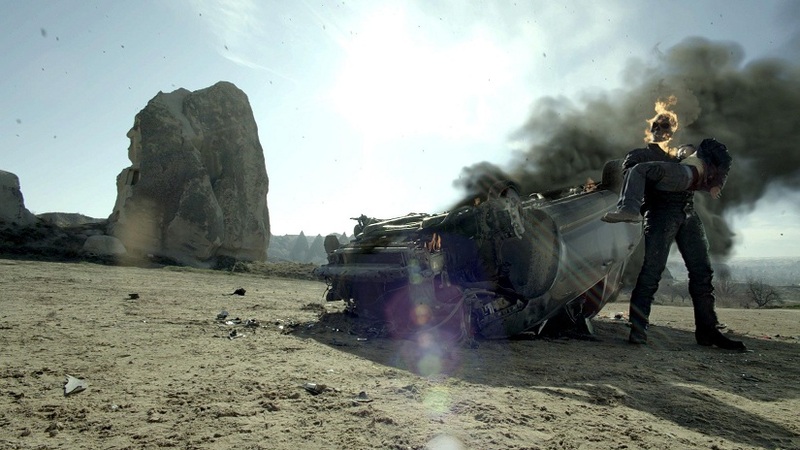 Figure 2 – Directors Mark Neveldine and Brian Taylor use CGI lens-flares to push the limits of 3D in GHOST RIDER: SPIRIT OF VENGEANCE (2011). Take the example of the digitally simulated lens flare, featured ostentatiously in recent superhero films like Green Lantern or the Ghost Rider sequel directed by Neveldine and Taylor, who brag that their extensive use of it breaks all the rules of “what you can and can’t do” in 3D (see Figures 1 and 2, above). Beyond the stylistically questionable matter of this excess, a phenomenological analysis reveals significant paradoxes at the heart of the CGI lens flare. On the one hand, the lens flare encourages what Ihde calls an “embodiment relation” to the virtual camera: by simulating the material interplay of a lens and a light source, the lens flare emphasizes the plastic reality of “pro-filmic” CGI objects; the virtual camera, which enables our view of these objects, is to this extent itself grafted onto the subjective pole of the intentional relation, “embodied” or “incorporated” in a sort of phenomenological symbiosis that channels perception towards the objects of our visual attention. On the other hand, however, the lens flare draws attention to itself and highlights the images’ artificiality by emulating (and indeed foregrounding the emulation of) the material presence of a (non-diegetic) camera. To this extent, the camera is rendered quasi-objective, and it instantiates what Ihde calls a “hermeneutic relation”: we look at the camera rather than just through it, and we interpret it as a sign or token of verisimilitude or “realisticness.” The paradox here, which consists in the realism-constituting and realism-problematizing undecidability of the virtual camera’s relation to the diegesis—where the “reality” of this realism is conceived as thoroughly mediated, the product of a simulated physical camera rather than defined as the hallmark of embodied perceptual immediacy—points to a more basic problem: namely, to a transformation of mediation itself in the post-cinematic era. That is, the undecidable place of the mediating apparatus, the camera’s apparently simultaneous occupation of both subjective and objective positions within the noetic relation that it enables between viewers and the film, is symptomatic of a more general destabilization of phenomenological subject- and object-positions in relation to the expanded affective realm of post-cinematic mediation. Computational, ergodic, and processual in nature, media in this mode operate on a level that is categorically beyond the purview of perception, perspective, or intentionality. Phenomenological analysis can therefore provide only a negative determination “from the outside”: it can help us to identify moments of dysfunction or disconnection, but it can offer no positive characterization of the “molecular” changes occasioning them. Thus, for example, CGI and digital cameras do not just sever the ties of indexicality that characterized analog cinematography (an empirical or epistemological-phenomenological claim); they also render images themselves fundamentally processual—at once inextricably bound up in computational processes and simultaneously initiating a volatile feedback loop between these and the spectator. Such post-cinematic images, which fail to “settle” or coalesce into a fixed and distant position, thus displace the film-as-object-of-perception and uproot the spectator-as-perceiving-subject—in effect, enveloping both in an epistemologically indeterminate but materially quite real and concrete field of affective relation. Mediation, I suggest, can no longer be situated neatly between the poles of subject and object, as it swells with processual affectivity to engulf both. It seems to me that these movies are attempting a kind of shortcut to the viewer’s autonomic nervous system, providing direct stimulus to generate excitement rather than simulate any comprehensible experience. In that sense, they’re more like drugs that (ostensibly) trigger the release of adrenaline or dopamine while bypassing the middleman, that part of the brain that interprets real or imagined situations and then generates appropriate emotional/physiological responses to them. The reason they don’t work for many of us is because, in reality, they give us nothing to respond to—just a blur of incomprehensible images and sounds, without spatial context or allowing for emotional investment. Now, I want to distance myself from what appears to be a blanket dismissal of such stimulation, but I quote Emerson’s statement here because I think it correctly and neatly identifies the link between a direct affective appeal and the essentially post-phenomenological dissolution of perceptual objects and bypassing of perception itself. If we take it seriously, though, this link marks the crux of a transformation in the ontology of media, the point of passage from cinematic to post-cinematic media. Whereas the former operate on the “molar” scale of perceptual intentionality, the latter operate on the “molecular” scale of sub-perceptual and pre-personal embodiment, potentially transforming the material basis of subjectivity in a way that cannot be accounted for in traditional phenomenological terms. But how do we account for this transformative power of post-cinematic media, short of simply reducing it (as it would seem Emerson does) to a narrowly positivistic conception of physiological impact? In order to answer this question, it will be helpful to turn to Maurizio Lazzarato’s reflections on the affective dimension of video and to Mark Hansen’s expansions of these ideas with respect to computational and what he calls “atmospheric” media. According to Lazzarato, the video camera captures time itself, the splitting of time at every instant, hence opening the gap between perception and action where affect (in Bergson’s metaphysics) resides. Because it no longer merely traces objects mechanically and fixes them as discrete photographic entities, but instead generates its images directly out of the flux of sub-perceptual matter, which it processes on the fly in the space of a microtemporal duration, the video camera marks a revolutionary transformation in the technical organization of time. The video camera, writes Lazzarato, “modulates the flows of electromagnetic waves. Video images are contractions and dilations, ‘vibrations and tremors’ of light, rather than ‘tracings,’ reproductions of reality. The video camera’s take is a crystallization of time-matter” (111). The mediating technology itself becomes an active locus of molecular change: a Bergsonian body qua “center of indetermination,” a gap of affectivity between passive receptivity and its passage into action. The camera thus imitates the process by which our own pre-personal bodies synthesize the passage from molecular to molar, replicating the very process by which signal patterns are selected from the flux and made to coalesce into determinate images that can be incorporated into an emergent subjectivity. In this respect, properly post-cinematic cameras, which include video and digital imaging devices of all sorts, have a direct line to our innermost processes of becoming-in-time, and they are therefore capable of informing the political life of the collective by flowing into the “general intellect” at the heart of immaterial or affective labor. According to Lazzarato, “[b]y retaining and accumulating duration, machines to crystallize time may help to develop or to neutralize the ‘force to feel’ and the ‘force to act’; they may contribute to our ‘becoming active’ or to our being held in passivity” (96). This political dimension, in short, is contingent upon the post-cinematic camera’s ability to dilate and transform the pre-individual space of molecular affect. 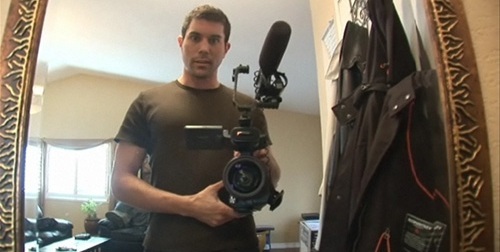 Figure 3 – Hand-held cameras mediate between diegetic and extra-diegetic spaces in PARANORMAL ACTIVITY (Oren Peli, 2007/2009). Figure 4 – Closed-circuit home surveillance cameras capture the action in PARANORMAL ACTIVITY 2 (Tod Williams, 2009). 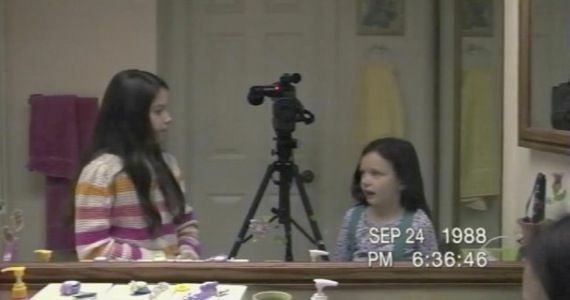 Figure 5 – PARANORMAL ACTIVITY 3 (Henry Joost and Ariel Schulman, 2011) presents itself in the form of VHS found footage. 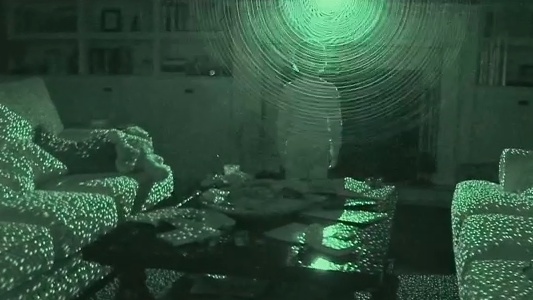 Figure 6 – The Xbox Kinect exemplifies the nonhuman agency of post-cinematic cameras in PARANORMAL ACTIVITY 4 (Henry Joost and Ariel Schulman, 2012). This goes in particular for the post-cinematic camera, which has shed the perceptually commensurate “body” that ensured cinematic communication on Sobchack’s model and which, beyond video, is no longer even required to have a material lens. This does not, of course, mean that the camera has become somehow immaterial, but today the conception of the camera should perhaps be expanded: consider how all processes of digital image rendering, whether in digital film production or simply in computer-based playback, are involved in the same on-the-fly molecular processes through which the video camera can be seen to trace the affective synthesis of images from flux. Unhinged from traditional conceptions and instantiations, post-cinematic cameras are defined precisely by the confusion or indistinction of recording, rendering, and screening devices. In this respect, the “smart TV” becomes an exemplary post-cinematic camera (an uncannily flat domestic Kammer or “room” composed of smooth, computational space): it executes microtemporal processes ranging from compression/decompression, artifact generation and suppression, resolution upscaling, aspect-ratio transformation, motion-smoothing image interpolation, and on-the-fly 2D to 3D conversion. Marking a further expansion of the video camera’s artificial affect-gap, the smart TV and the computational processes of image modulation that it performs bring the perceptual and actional capacities of cinema—its receptive camera and projective screening apparatuses—back together in a post-cinematic counterpart to the early Cinématographe, equipped now with an affective density that uncannily parallels our own. Especially in 100Hz/200Hz motion-smoothing processes, where the television inserts completely new, computationally generated images between the frames of the source signal, the smart TV demonstrates its post-cinematic quality as an imaging device radically discorrelated from human perception and perceptual technologies (including the analog camera, the lens of which is correlated with that of the human eye); the interpolation of computational processes disrupts the circuit of perception formerly mediated through the camera—a fact which announces itself to the viewer first and foremost on an affective level, in the form of the so-called “soap-opera effect”: the images seem paradoxically too real, too close, too plastic; they have an uncanny quality about them, something not quite right—though it is exceedingly difficult to pin down this quality and express it in words. Such pictures have been described as “ridiculously ‘sharp,’” “like an old Dr. Who episode where the action on screen is smoother than the background, creating a jarring disparity when watching movies with lots of movement,” or where “you essentially see the ‘moving’ objects on a different plane than the background, as if they were cut outs moving on a painted background” (Biggs). There’s something pornographic about the images—movies filmed in 35mm suddenly look like a video-based telenovela or low-budget reality show. Surfaces stand out, and to this extent we might appeal to the vocabulary of Ihde’s “hermeneutic relation”: the medium begins to obtrude on the objective side of the noetic arrow, as an object or quasi-object of perceptual intentionality. But in fact, the situation is more extreme, as this is just the affective side of a perceptual (or cognitive) non-relation to the technological infrastructure, which renders images on the fly, sub-perceptually “enriching” the images by multiplying them twofold, fourfold, or even more. This is a significant case, I think, because it displays a more general truth about the post-cinematic era: it is widely accepted that cameras are everywhere today, and even that this ubiquity is an important marker of our historical and technological situation today—but we usually think about surveillance cameras and the proliferation of cameras in hand-held devices like smartphones. We do not usually think of our screens as cameras, but that is precisely what smart TVs and computational display devices of all sorts in fact are: each screening of a (digital or digitized) “film” becomes in fact a re-filming of it, as the smart TV generates millions of original images, more than the original film itself—images unanticipated by the filmmaker and not contained in the source material. To “render” the film computationally is in fact to offer an original rendition of it, never before performed, and hence to re-produce the film through a decidedly post-cinematic camera. This production of unanticipated and unanticipatable images renders such devices strangely vibrant, uncanny—very much in the sense exploited by Paranormal Activity. The dilation of affect, which introduces a temporal gap of hesitation or delay between perception (or recording) and action (or playback), amounts to a modeling or enactment of the indetermination of bodily affect through which time is generated, and by which (in Bergson’s system) life is defined. A negative view sees only the severing of the images’ indexical relations to world, hence turning all digital image production and screening into animation, not categorically different from the virtual lens flares discussed earlier. But in the end, the ubiquity of “animation” that is introduced through digital rendering processes should perhaps be taken more literally, as the artificial creation of (something like) life, which is itself equivalent—following Lazzarato following Bergson—with the gap of affectivity, or the production of duration through the delay of causal-mechanical stimulus-response circuits; the interruption of photographic indexicality through digital processing is thus the introduction of duration = affect = life. Discorrelated images, in this respect, are autonomous, quasi-living images in Bergson’s sense, having transcended and gained a degree of autonomy from the mechanicity that previously (in cinema’s photochemical processes) kept them subservient to human perception. Like the unmotivated cameras of District 9 and Melancholia, or the uncanny environmental ones of Paranormal Activity, post-cinematic cameras generally have become “something altogether different,” as Therese Grisham put it: apparently crazy, because discorrelated from the molar perspectives of phenomenal subjects and objects, cameras now mediate post-perceptual flows and confront us everywhere with their own affective indeterminacy. Like an expired body that blends with the dirt to form new molecules and living organisms, the body of cinema continues to blend with other image/sound technologies in processes of composition/decomposition that breed images with new speeds and new distributions of intensities. To the extent that metabolism is, as I have claimed, inherently affective (or “passionate,” in a Massumian-Spinozan vein), post-cinematic affect has to be thought apart from feeling, certainly apart from subjective emotion. What I have been trying to do is to situate us in a position from which we might grasp the post-cinematic image itself not as an objective entity or process but as a metabolic agency, one which is caught up in and defines the larger media-ecological process of transformation that (dis)articulates subjects and objects, spectators and images, life and its environment in the transition to the post-cinematic. This metabolic image, I suggest, is the quintessential image of change, and it speaks to a perspective that is the immersed, undifferentiated (non-)perspective of metabolism itself—a material affect that is distributed across bodies and environments as the very medium of transitionality. As I have outlined it here, this perspective builds upon a view of video and above all computation as technologies of microtemporal processing and modulation. But emphasizing this level of material-technological functioning, which subtends any identifiable “content” of mediation, points to the inadequacy of many of the more narrowly “technical” determinations of the transition to a post-cinematic regime. Thus, many discussions concentrate on whether editing styles today are overly chaotic or whether they embody a merely intensified form of continuity. But as Steven Shaviro points out in his discussion of what he calls “post-continuity,” compliance or non-compliance with the rules of classical continuity is often simply beside the point in post-cinema. The central spectacle of Michael Bay’s Transformers series—a series that is clearly full of hectic, non-continuity editing patterns—demonstrates this essentially secondary role of formal editing (see Figure 7, below). The transformations themselves embody a certain outstripping of human perceptual faculties, discorrelations that are staged in continuous takes, without the need for explicit violations of continuity. These transformations offer concise examples of a “hyperinformatic” cinema: they overload our capacities, giving us too much visual information, presented too fast for us to take in and process cognitively—information that is itself generated and embodied in informatic technologies operating at speeds well beyond our subjective grasp. Hence, the transformation’s visualization does not simply produce images that give objective form to boys’ and men’s childhood fantasies and playtime imaginations; instead, it is precisely their failure to coalesce into coherent objects that defines these images as metabolic “spectacles beyond perspective”—i.e. as ostentatious displays that categorically deny us the distance from which we might regard them as perceptual objects. It is the processual flow and speed of algorithmic processing that is put on display here, and indeed put into effect as the images are played back on our computational devices. 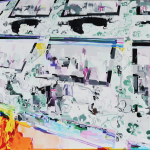 Figure 7 – The central spectacles of TRANSFORMERS (Michael Bay, 2007) are “hyperinformatic” images that outstrip human perception. But so long as we underestimate the meaning of the images’ animation, so long as we reduce it to a merely technical effect of CGI’s severing of photographic indexicality, we fail to grasp the significance of post-cinematic affect as a more global event, an environmental shift or “climate change” precipitated by the condensation and flow of affect in our increasingly lively machines. Through the discorrelating effect that post-cinematic cameras have on intentional relations, we as subjects are effectively consumed by/with affect and transformed along with the would-be objects of algorithmic images; in a manner of speaking, these images do nothing less than devour and metabolize us. We are bound up in and transformed by the processual experience of digital mediation, which unlike the ideal closure of classical cinema is proximal and open to (rather than separate from) our computational lifeworld. In other words, there is no clear encapsulation of the movie experience as distinct from the digital infrastructures of our daily lives. There is contiguity, involvement—always an inescapable involvement that marks the “participatory culture” of the convergence era as far less benign than some critics might hope. Buy the game, buy the toys, download the app, stream it on Netflix, watch at home, at work, on the train: at stake is a literal capitalization of our attention, and the hyperinformatic dissolution of perspective is central to this undertaking. Affecting us on a molecular, sub-perceptual level of micro-temporal embodiment but imbricating us in an expansive, diffuse network of nebulous agencies and transactions, the post-cinematic dispositif operates by metabolizing subject-object relations, transforming and re-creating them by setting us and our affective machines in novel relations to one another and to the larger emergent flows of bits, bodies, and other material units of exchange. Figure 8 – Unexplained CGI images challenge us to scan the frame for information in UPSTREAM COLOR (Shane Carruth, 2013). The basic affective tone (or Grundton) of the film is alternately dark and hopeful, but it is not really about the characters’ (or even our) hopes or fears at all, it would seem. It feels more accurate to say that the film is simply about the material flows it traces, which are marked as decidedly post-cinematic early in the movie. Without any sort of contextual situation, we are presented with a sequence of digitally composited images, complete with hexagonal lens flares and some sort of unfinished-looking CGI creature (see Figure 8, above). These are then shown to belong to a diegetic screen, that of the female protagonist Kris, who advances and reverses the images in a step-wise manner, clicking through the frames as she searches for a shadow or a gaffer’s foot that apparently went unnoticed by the effects team (Figure 9, below). If you’ve seen the film, you’ll know that this brief scene—if indeed these images can be said to constitute a “scene”—is quite marginal in many respects. We’ll never learn about the project that Kris is working on here, and she’ll be fired from her job anyway when a man feeds her the parasite, sets her in a hypnotic state for some indefinite number of days, and cleans out all her assets. Yet the scene remains significant in situating the film in this context of computational labor and image production, where the human perspective that Kris brings (and that we bring) to these images is not central and focused, not the focusing vision that defines coherence in classical cinema, but a dispersed, “scanning” form of regard. The images compel us to interrogate them likewise, in this manner of scanning, as we are unable to identify anything of significance in the brief time given to us. In any case, Kris’s vision is not a masterful or even directed gaze but more of a stop-gap designed to mop up around the post-cinematic vision machine; in her job, Kris herself embodies mere biopower in the service of algorithmic functions. Figure 9 – Female protagonist Kris (Amy Seimetz, UPSTREAM COLOR) shares our perspective with regard to the post-cinematic vision machine. Her infection with the parasite will extract her from this assemblage, to a certain extent, but only by effecting a further splitting and dispersal of agency. Indeed, both Kris and the male protagonist Jeff, whom she is drawn to by some unknown force, and who has apparently undergone the same ordeal as she has, will more or less cease being individuals as their relationship develops. Their childhood memories merge, and it is unclear whose past belongs to whom. Moreover, this erasure of individual identity, the overt emergence of what Deleuze calls “dividuality,” is mediated through free-floating dialogues that attach themselves to various locales and various times, impossibly bridging spatial and temporal distances that no embodied speaker could span. So what sometimes resembles a Terrence Malick-style voiceover is in fact something quite different, as it is occasionally anchored in an image of a character speaking in one place, but that speaking character can disappear and reappear at a distant location within the space of a single ongoing dialogue, itself apparently presented in real time. We are in the realm of the virtual rather than the actual, it would appear, and the flow of images and sounds effectively involves the viewer in the dispersal of agency described in the diegesis. And it is the music, above all, that ties everything together. Semi-diegetic in nature, the musical counterpart of a free indirect discourse, perhaps, the film’s synthetic music weaves back and forth between the status of background music and source music; the Sampler, as the unnamed character is called in the film’s credits, synthesizes natural and technological sounds (running water, a drain pipe, the hum of a power line) into electronic music, effecting a sort of metabolic recombination of environmental materials. He sells his music on CD, but he also uses his sound compositions to attract the parasite’s human hosts to a field where he extracts and transplants the worms from the people and into pigs. Playing simulated “rain” sounds on an amped-up PA system, the sampled sounds bypass the hosts’ subjectivities, working on them sub-perceptually and impinging upon their bodies via the parasites, which compel their hosts’ actions. And the music works on us as well by splitting our attentions between organic source and technical modulation, between reality and simulation, and between diegesis and medium. It thus continues, in a different register, the arc begun with the CGI images that Kris and we scan together for information, gesturing nebulously towards the conditions of life in the age of post-cinematic mediation. Driving both the narrative and the larger experience of the film in essential ways, the Sampler’s music neatly sums or summons, gathers together the environmental and medial, sub- and supra-personal levels of metabolic action for characters and spectators alike. Underscoring and linking images of cellular decomposition, the computerized labor of image production, of worms making their way through human and nonhuman bodies, bodies succumbing to decay, individual selves giving way to various forms of control and dividuality, and microscopic processes of interspecies transfer, the Sampler’s music marks the time of the environment and its interconnections. Together, sound and image mediate an experience of the expanded realm of affect which swallows up, discorrelates, and metabolizes subjective perception and perspective in the space of the post-cinematic ecosphere. Ultimately, what Upstream Color points to is the way that biological, technological, phenomenological, and economic realities are all imbricated with one another today in a total media environment—that of post-cinema, which is unified and propagated not by cognitive but by decidedly post-perceptual means. Cameras are irrational, neither subjective nor objective but radically ambiguous and volatile. Images are discorrelated, incommensurate with human subjectivities and perspectives. Media generally are post-perceptual, transductively mediating new forms of life by modulating the metabolic processes through which organisms such as ourselves are structurally coupled with our (biotic, technical, material, and symbolic) ecospheres. By insinuating themselves into the molecular flows of affect, prior to the possibility of perception and action, post-cinema’s metabolic images have a direct impact on “the way we tick”—i.e. on the materially embodied production and modulation of time and temporal experience. In other words, these images radically articulate the conditions of life itself in the contemporary technosphere: not only do they “express” these conditions and our experiences of them, but they are in part responsible for enabling our experience in the first place; by articulating together the organic (the material substrate out of which human subjectivities are formed) and the technical (computational processes in particular) at a categorically pre-personal and non-cognitive level of microtemporal becoming, metabolic images are involved in generating the conditions for molar experience in the post-cinematic world. Finally, these techno-organic processes point us beyond our individual experiences, towards the larger ecologies and imbalances of the Anthropocene. Ultimately, we might speculate, what post-cinema demands of us by means of its discorrelated images is that we learn to take responsibility for our own affective discorrelations—that we develop an ethical and radically post-individual sensibility for the networked dividualities through which computational, endocrinological, socio-political, meteorological, subatomic, and economic agencies are all enmeshed with one another in the metabolic processing and mediation of life today. Aarseth, Espen. “Aporia and Epiphany in Doom and The Speaking Clock: The Temporality of Ergodic Art.” Cyberspace Textuality: Computer Technology and Literary Theory. Ed. Marie-Laure Ryan. Bloomington: Indiana UP, 1999. 31- 41. Print. Bergson, Henri. Matter and Memory. Trans. N. M. Paul and W. S. Palmer. New York: Cosimo, 2007. Print. Biggs, John. “Help Key: Why 120Hz Looks ‘Weird’.” TechCrunch. 12 Aug. 2009. Web. <http://techcrunch.com/2009/08/12/help-key-why-hd-video-looks-weird/>. Brinker, Felix. “On the Political Economy of the Contemporary Blockbuster Series.” In this volume. Denson, Shane. Postnaturalism: Frankenstein, Film, and the Anthropotechnical Interface. Bielefeld: Transcript-Verlag, 2014. Print. Denson, Shane, Therese Grisham, and Julia Leyda. “Post-Cinematic Affect: Post-Continuity, the Irrational Camera, Thoughts on 3D.” La Furia Umana 14 (2012). Web. Rpt. in this volume. Emerson, Jim. “Agents of Chaos.” Scanners. 23 Aug. 2011. Web. <http://www.rogerebert.com/scanners/agents-of-chaos>. Galloway, Alexander. “Social Realism.” Gaming: Essays on Algorithmic Culture. Minneapolis: U of Minnesota P, 2006. 70-84. Print. Grisham, Therese, Julia Leyda, Nicholas Rombes, and Steven Shaviro. “The Post-Cinematic in Paranormal Activity and Paranormal Activity 2.” La Furia Umana 10 (2011). Web. Rpt. in this volume. Hansen, Mark B. N. “Living (with) Technical Time: From Media Surrogacy to Distributed Cognition.” Theory, Culture and Society 26.2-3 (2009): 294-315. Print. —. “Media Theory.” Theory, Culture and Society 23.2-3 (2006): 297-306. Print. —. “Ubiquitous Sensation: Toward an Atmospheric, Collective, and Microtemporal Model of Media.” Throughout: Art and Culture Emerging with Ubiquitous Computing. Ed. Ulrik Ekman. Cambridge: MIT P, 2012. 63-88. Print. Heidegger, Martin. Being and Time. Trans. J. Macquarrie and E. Robinson. New York: Harper, 1962. Print. Ihde, Don. Technology and the Lifeworld: From Garden to Earth. Bloomington: Indiana UP, 1991. Print. Jenkins, Henry. Convergence Culture: Where Old and New Media Collide. New York: New York UP, 2006. Print. Latour, Bruno. We Have Never Been Modern. Trans. Catherine Porter. Cambridge: Harvard UP, 1993. Print. Lazzarato, Maurizio. “Machines to Crystallize Time: Bergson.” Theory, Culture and Society 24.6 (2007): 93-122. Print. —. Videophilosophie: Zeitwahrnehmung im Postfordismus. Berlin: b_books, 2002. Print. Leyda, Julia. “Demon Debt: Paranormal Activity as Recessionary Post-Cinematic Allegory.” Jump Cut 56 (2014). Web. Rpt. in this volume. Mackenzie, Adrian. Transductions: Bodies and Machines at Speed. London: Continuum, 2002. Print. Manovich, Lev. “What is Digital Cinema?” Web. Online at the author’s website: <http://www.manovich.net/TEXT/digital-cinema.html>. Rpt. in this volume. —. A User’s Guide to Capitalism and Schizophrenia: Deviations from Deleuze and Guattari. Cambridge: MIT P, 1992. Print. Merleau-Ponty, Maurice. Phenomenology of Perception. Trans. C. Smith. London: Routledge, 2002. Print. Neveldine, Mark, and Brian Taylor. “Ghost Directors: Mark Neveldine and Brian Taylor get Cage-y.” Interview with Nerdist News. 17 Feb. 2012. Web. <http://www.nerdistnews.com/region/national/story/national/ghost-directors-mark-neveldine-and-brian-taylor-get-cage-y>. Simondon, Gilbert. “The Genesis of the Individual.” Incorporations. Eds. Jonathan Crary and Sanford Kwinter. New York: Zone, 1992. 297-319. Print. Sobchack, Vivian. The Address of the Eye: A Phenomenology of Film Experience. Princeton: Princeton UP, 1992. Print. —. “The Scene of the Screen: Beitrag zu einer Phänomenologie der ‘Gegenwärtigkeit’ im Film und in den elektronischen Medien.” Trans. H. U. Gumbrecht. Materialität der Kommunikation. Eds. H. U. Gumbrecht and K. Ludwig Pfeiffer. Frankfurt am Main: Suhrkamp, 1988. 416-28. Print. —. “The Scene of the Screen: Envisioning Photographic, Cinematic, and Electronic Presence.” Carnal Thoughts: Embodiment and Moving Image Culture. Berkeley: U of California P, 2004. 135-62. Print. Rpt. in this volume. —. “Toward a Phenomenology of Cinematic and Electronic Presence: The Scene of the Screen.” Post-Script 10 (1990): 50-59. Print. Stork, Matthias. “Chaos Cinema: The Decline and Fall of Action Filmmaking.” Video essay. Press Play. 22 Aug. 2011. Web. <http://blogs.indiewire.com/pressplay/video_essay_matthias_stork_calls_out_the_chaos_cinema>. Sullivan, Kevin P. “‘Paranormal Activity 4’: Behind the High-Tech Scares.” MTV News. 18 Oct. 2012. Web. <http://www.mtv.com/news/articles/1695798/paranormal-activity-4-special-fx.jhtml>. Van den Berg, J. H. The Two Principal Laws of Thermodynamics: A Cultural and Historical Exploration. Trans. Bernd Jager, David Jager, and Dreyer Kruger. Pittsburgh: Duquesne UP, 2004. Print. Adrian Mackenzie’s Transductions: Bodies and Machines at Speed provides a useful introduction to, and an interesting exploration of, Simondon’s concept. Framed by an engagement with philosopher Bernard Stiegler’s discussion of cinema as a neo-Husserlian “temporal object,” Mark B. N. Hansen makes an important argument about the contemporary breakdown of “objectal” forms of mediation in his “Living (with) Technical Time.” According to Hansen, the move from objectal to more thoroughly processual forms of media and art gives rise to a changed experience of time itself—and ultimately to an experience of time divorced (or “discorrelated,” as I put it) from the temporal scale of human perception. Henri Bergson defines affect as “that part or aspect of the inside of our bodies which mix with the image of external bodies” (Matter and Memory 60); pertaining to the Bergsonian image of the body as a “center of indetermination,” affect thus describes an intermixture of inside and outside, and an intensity experienced in a state of “suspension,” outside of linear time and the empirical determinateness of forward-oriented action. It thus corresponds to a major emphasis in film theory conducted in the wake of the so-called affective turn—namely, a focus on privileged but fleeting moments, when narrative continuity breaks down and the images on the screen resonate materially, unthinkingly, or pre-reflectively with the viewer’s autoaffective sensations. Such moments are, of course, central to Deleuze’s conception of the “time-image” (cf. Cinema 2), which marks a break with the phenomenology of the “movement-image” of the pre-WWII era (cf. Cinema 1). My argument about post-cinema’s discorrelated images tries to envision a further transformation on this affective terrain of human-technological interaction. I speak of a “properly” post-cinematic era in recognition of the fact that the entire second half of the twentieth century, following the rise of television and the decline of classical film style, might with some justification be claimed already to have been post-cinematic. Nevertheless, it seems reasonable to identify a period of transition that has only recently given way to a more fully or genuinely post-cinematic era. In his Post-Cinematic Affect, Steven Shaviro gestures in a similar direction: recognizing the media-technical and other changes taking place since the mid-twentieth century, Shaviro refuses a “precise periodization” (1) but maintains that “these changes have been massive enough, and have gone on for long enough, that we are now witnessing the emergence of a different media regime, and indeed of a different mode of production, than those which dominated the twentieth century. Digital technologies, together with neoliberal economic relations, have given birth to radically new ways of manufacturing and articulating lived experience” (2). “Post-Cinematic Affect: Post-Continuity, The Irrational Camera, Thoughts on 3D” was the second roundtable discussion (with Therese Grisham, Julia Leyda, and myself) on the topic in La Furia Umana, following one devoted to “The Post-Cinematic in Paranormal Activity and Paranormal Activity 2” (with Therese Grisham, Julia Leyda, Nicholas Rombes, and Steven Shaviro). Both discussions are reprinted in this volume. These ideas, which Sobchack had previously articulated at greater length at the “Materialität der Kommunikation” conference in Dubrovnik in 1987, appeared in a number of versions throughout the years: first in German, as “The Scene of the Screen: Beitrag zu einer Phänomenologie der ‘Gegenwärtigkeit’ im Film und in den elektronischen Medien” (1988); then in English, in the journal Post-Script, as “Toward a Phenomenology of Cinematic and Electronic Presence: The Scene of the Screen” (1990); then in a revised version included in Sobchack’s Carnal Thoughts (2004); which, finally, is reprinted in the present volume. Responding to an interviewer’s suggestion that Ghost Rider: Spirit of Vengeance “looks a lot more conventionally edited than your usual hyperkinetic style,” Mark Neveldine states that “there’s a lot of places in the movie where, if we have a trademark style, I think you’ll see it. Certainly the action is really fast-paced, we move the camera a lot, we broke every rule that supposedly was written about 3D and what you can and can’t do.” The interviewer follows up later in the same discussion: “One of the supposed rules of 3D is that a shot has to be held a certain length in order to be perceived in 3D. Is that one of the rules you guys broke in Ghost Rider, and/or would break in a 3D Crank sequel?” Neveldine replies: “Yeah, we didn’t find any of the so-called rules of 3D were actually real rules. Through a process of testing and trying out different things and finding workarounds, we pretty much found we could shoot exactly the kind of thing we like to shoot, and it works great for 3D. We haven’t had any complaints of people getting headaches from 3D, or puking. We expect to get that on Crank 3, but not because of the 3D.” Brian Taylor adds, proudly: “Yeah, but we have more lens flares in our movie than most 2D movies have, so we’re happy with it.” Many reviewers were less enthusiastic, however, complaining about the overuse of lens flares, as generally gratuitous and sometimes nonsensical, and as the only thing that occasionally floats in 3D space in front of a basically flat surface picture. Generally, this use of lens flares fits with what I am theorizing as the irrationality of the post-cinematic camera: Neveldine and Taylor’s lens flares are positively insistent on the materiality of the camera, while being used to foreground the supposedly gritty (because “against the rules”) potential of 3D as 3D; in other words, the technical infrastructure of 3D is foregrounded rather than rendered invisible or natural, all the more so as the lens flares occupy a different plane than the rest of the images. Ihde symbolizes embodiment relations thus: (I—technology) → world. The arrow indicates what Husserl designated the basic noetic relation, whereby a perceiving subject takes up an intentional relation towards some object or aspect of the world. In an embodiment relation, the subject and the mediating technology are bracketed together on the left hand side of the arrow to indicate their cooperation in establishing the relation. The mediating technology becomes more or less transparent in the intentional act. Classical examples include Heidegger’s famous hammer from Being and Time and Merleau-Ponty’s only slightly less famous blind-man’s cane from Phenomenology of Perception. Ihde discusses embodiment relations in detail in Technology and the Lifeworld (72-80). I adopt the term “ergodic” from Espen Aarseth, who uses it to describe the interactive spaces of digital games and electronic literature; combining the Greek ergon (work) and hodos (path), the concept of ergodicity describes digital games, in contrast to other textual forms, as a type of discourse “whose signs emerge as a path produced by a non-trivial element of work” (32). Thus, a game’s narrative “script” is not pre-existent, not just “there” for us to read like a novel, but it is instead generated at the moment of interaction, on the fly and in response to a user’s input. Here, I wish to expand the notion of ergodicity to conceptualize the basic processuality of post-cinematic images, including such apparently non-interactive ones as CGI lens flares. Overt interactivity, in other words, might be seen as only one possible expression of an underlying instability at the root of post-cinematic images. On chaos cinema, see Matthias Stork’s video essay by the same title. Similarly, if there is really a moment of media-ontological transformation associated with the transition to a post-cinematic media regime, it would have to be located in a “meso-level” of human-nonhuman interactions located between an a-centered molecular flux and the situated centeredness of (new and old forms of) phenomenological subjectivity. Lazzarato mounts his argument in a book titled Videofilosofia: La percezione del tempo nel postfordismo, translated into German as Videophilosophie: Zeitwahrnehmung im Postfordismus, but as yet untranslated into English. An exception is the first chapter, “Machines to Crystallize Time: Bergson,” which appeared in the pages of Theory, Culture & Society, and from which I quote here. 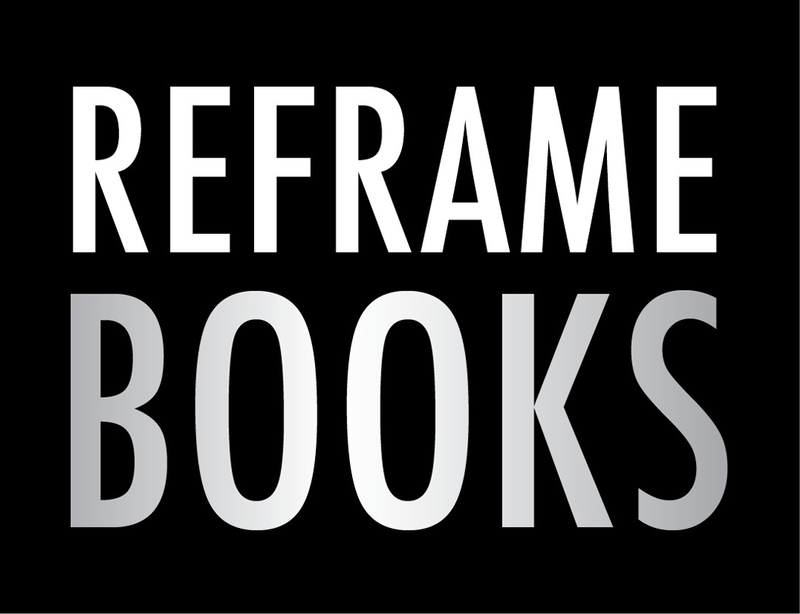 For a fuller reading of the series, see Julia Leyda’s chapter in this collection, as well as the La Furia Umana roundtable on “The Post-Cinematic in Paranormal Activity and Paranormal Activity 2,” reprinted in this volume. There is, indeed, still much to be said in favor of the view that digital imaging processes fundamentally flatten the distinction between live-action cinema and animated film. For an early statement of this view, see Lev Manovich’s “What is Digital Cinema?,” reprinted in this volume. Massumi defines affect as “a suspension of action-reaction circuits and linear temporality in a sink of what might be called ‘passion,’ to distinguish it both from passivity and activity” (28). See also my discussion in Postnaturalism, particularly 186-93. See Shaviro’s “Post-Continuity,” reprinted in this volume, where he differentiates and positions his views in relation to those of David Bordwell and Matthias Stork. 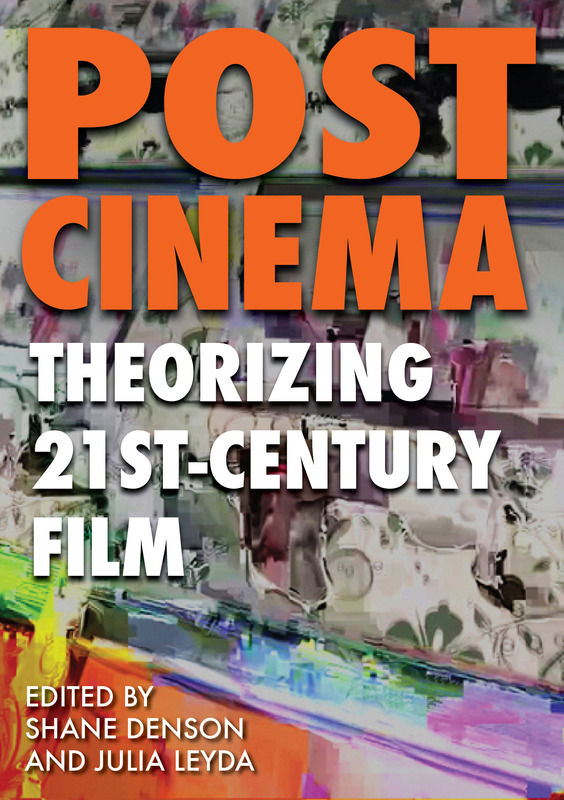 I have discussed this lack of closure in the roundtable discussion “Post-Cinematic Affect: Post-Continuity, the Irrational Camera, Thoughts on 3D,” reprinted in this volume. In his book Convergence Culture, Henry Jenkins explores the intersections of popular-cultural phenomena of transmedia storytelling with an apparently democratizing impulse towards participation and creativity on the side of contemporary media consumers. Felix Brinker’s chapter in this volume offers an alternative, somewhat more pessimistic view of these developments. With reference to J. H. van den Berg’s notion of “metabletics,” Bernd Jager makes an important distinction between “metabolism” and “metaphor” as two types of transformation. Metaphor, today as in the ancient Greek metapherein, refers to reversible passages that connect two realms and preserve similitude; on the other hand, metabolism, from metaballein, refers to abrupt and radical changes which efface, digest, or absorb all traces of an earlier state (van den Berg 4-9). Metabolic changes do not occur on a human scale, are not commensurate with human perception or discourse, and are therefore not subject to social or cultural construction (or deconstruction, for that matter); in contrast to metaphorical changes, which leave intact a humanly accessible context within which such changes may be cognized and recognized, metabolic processes are properly sub-conceptual, sub-phenomenal, and literally material. It is my contention that Upstream Color’s metabolic images are not just about metabolic processes but that they literally enact such material processes; and though the experience of watching Carruth’s film is so utterly different from watching, say, a Michael Bay film, it is on the basis of this sub-conceptual affective impact, which bypasses cognitive processing or “metaphor,” that I would claim both as properly post-cinematic. Thus, in societies of control: “We no longer find ourselves dealing with the mass/individual pair. Individuals have become ‘dividuals,’ and masses, samples, data, markets, or ‘banks’” (5). Kris and Jeff are exemplary figures of the control society: I have already pointed out that Kris’s original career (in an anonymous neoliberal media corporation) positions her as “biopower in the service of algorithmic functions,” but even after her transformation she continues to work in digital image production, printing large-format posters and signage for corporate customers. Jeff, on the other hand, originally worked in the world of high finance, and it is unclear whether embezzlement was part of his job or the reason why he lost it. Quite possibly, Jeff committed his crimes under the hypnotic influence of the mysterious “Thief” (as he is called in the film’s credits), who infected both him and Kris with the parasite, and who caused Kris to sign over all her assets to him. In any case, Jeff takes responsibility for his actions, much as a neoliberal society expects us all to take responsibility for (or accept as “natural”) events that are beyond our control or comprehension: for example, we are not to assign blame to banks or corporations for finance crises, as the causal mechanisms are (by design) far too complicated for most of us to understand. And even after his fall (or crisis) Jeff continues to work, off the books, in the more shadowy regions of finance capital. Both Kris’s and Jeff’s occupational activities are therefore inextricably, and exemplarily, bound up in the post-cinematic universes of data that control our lives. And their plights, their transformations, are closely related to our own situations as inhabitants of neoliberal societies. We never learn why, to what end, the Thief went to such lengths to scam his victims out of their savings. As spectators, we are positioned as uncomprehending, unable to comprehend a plot of such complexity, involving such distributed and apparently non-coordinated agencies, similar to the way credit default swaps are just too complicated for most of us to understand and thus didn’t raise enough red flags early on before the financial crisis. For Deleuze, following Bergson, “the virtual is fully real”—and thus not to be confused with the notion of virtuality according to which “virtual reality” is distinguished from “real life”; the virtual, which concerns the realm of potentialities (as well as the generative experience of duration and memory), is, according to Deleuze in Difference and Repetition, “real without being actual, ideal without being abstract, and symbolic without being fictional” (208). See Selmin Kara, “Anthropocenema: Cinema in the Age of Mass Extinctions,” and Adrian Ivakhiv, “The Art of Morphogenesis: Cinema in and Beyond the Capitalocene,” both of which are included in the present volume.